Viet was at the Lavender Festival in Sault in 2015. He still dreams about picking lavender flowers and eating lavender-honey sorbet. When thinking of Provence, picturesque vineyards, golden wheat fields, patches of red poppies, warm sunshine, fragrant breezes, and bountiful fields of lavender inevitably come to mind. 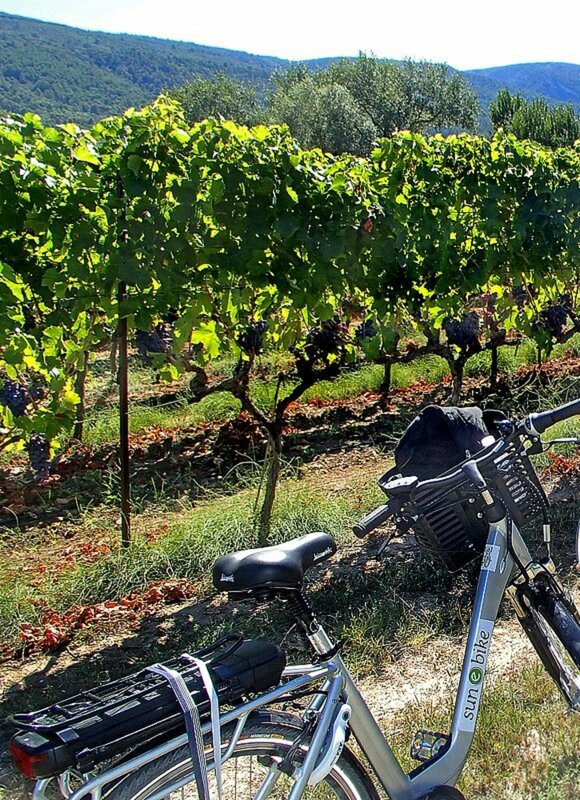 Provence is indeed famous for its idyllic rural landscape, with rolling farmland surrounded by high mountains and dense forests, and year-round mild Mediterranean weather. 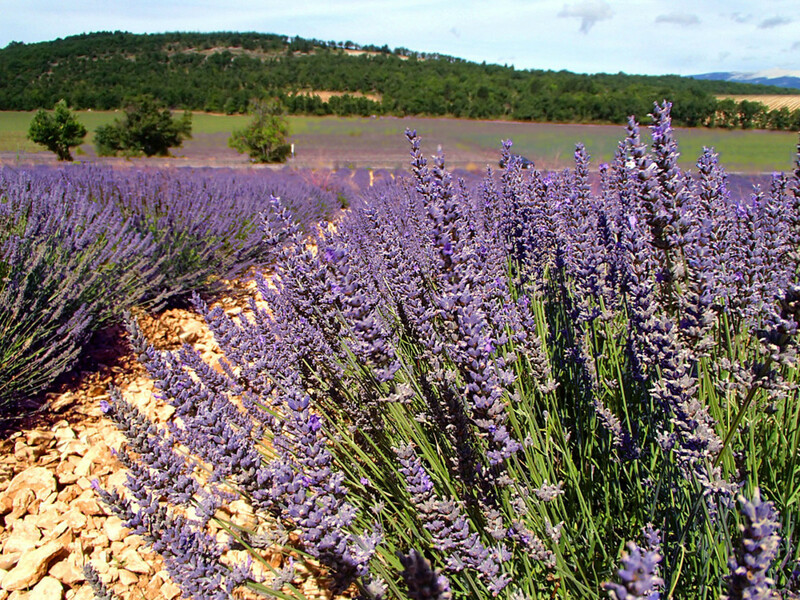 It is also best known as the lavender capital of Southern France, boasting its own vibrant lavender-centered culture and unique agricultural heritage. 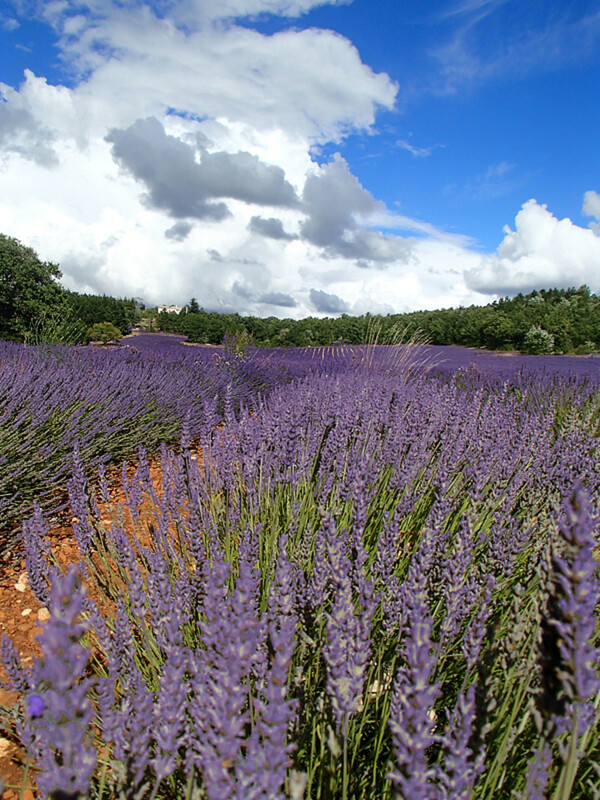 The best time to visit Provence is in the summer when the champs de lavande or lavender fields are in full bloom and many Provençal towns host various country fairs and festivals. 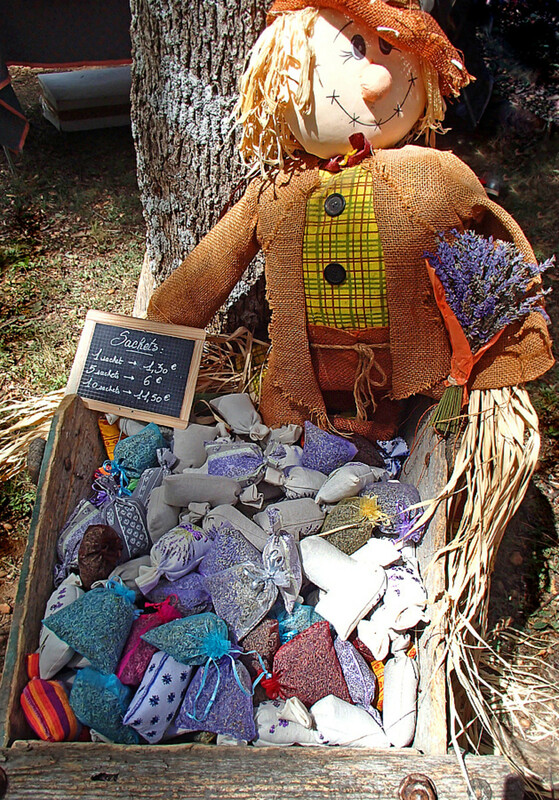 The largest and most popular event is the Fête de la Lavande or Lavender Festival which is held every year on August 15 in the village of Sault located in the heart of Provence. Perched high on a mountain ridge overlooking the Vaucluse region, Sault is a historic medieval village, built around 15th century. Well preserved stone houses, winding cobbled stone streets, charming town square, an old Romanesque church, and the ruins of a fortified castle are among the main attractions of Sault. Below Sault, a vast number of lavender fields spread out in all directions, as far as the eye can see. 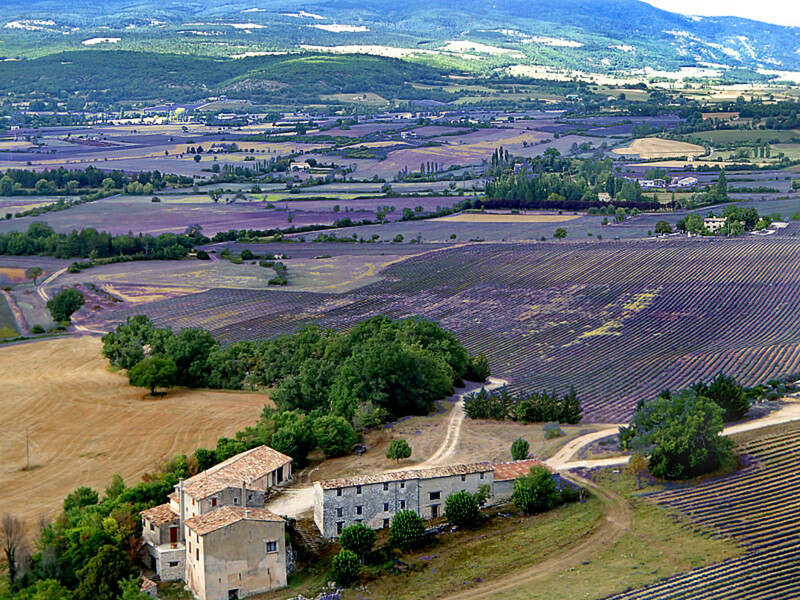 Sault is one of the most productive lavender-farming towns of Provence. 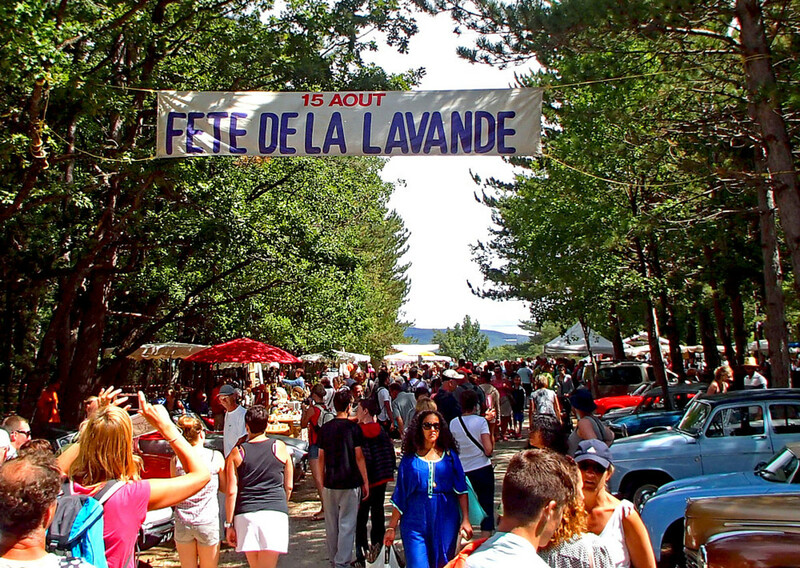 Since 1985, each year on the same date August 15, the village of Sault hosts the Lavender Festival where farmers honor their beloved “la petite fleur bleue” (means “the little blue flower”, i.e. lavender flower) and celebrate the lavender harvest season. 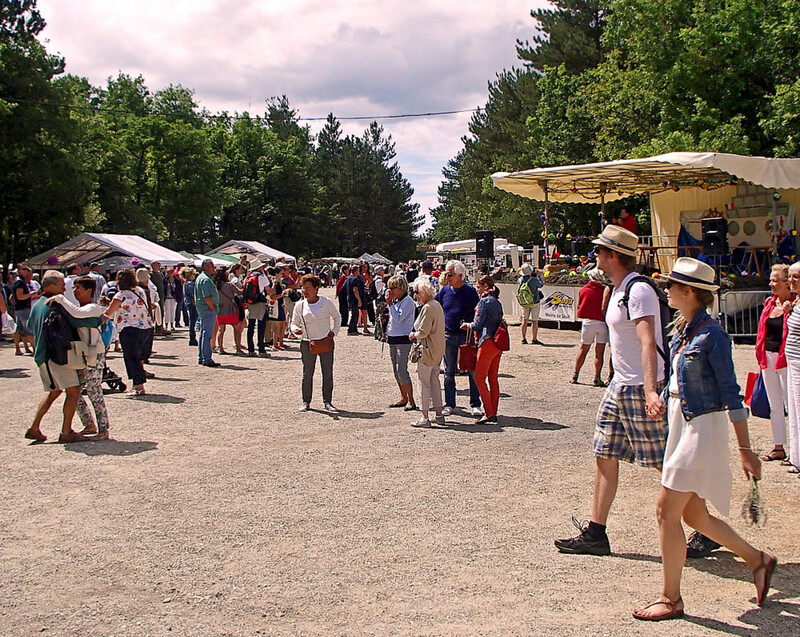 The festival is held at the fairground l’Hippodrome du Defends located just outside the village, under the cool shade of a pine forest and adjacent to the fragrant lavender fields. It’s a free, all-day celebration with many activities planned for local residents, tourists, families, adults, and children to enjoy. Shuttle buses are available to shuttle festival goers between the village center and fairground. Lavender cutting (using sickles) championship. Parade of folk groups from different villages in colorful costumes. Live bands performing country and traditional music. Demonstration of lavender oil distillation process. 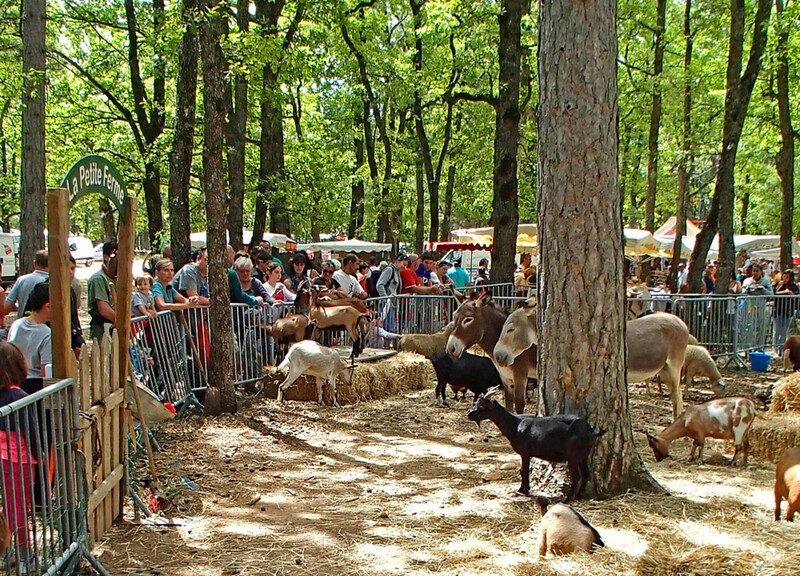 Farm-animal petting zoo where children can feed goats and ducks or take pony rides. Community picnic feast featuring locally grown foods and regional specialties. Lavender themed photographs, paintings and books sale. Antique ceramics and hand-made furniture sale. 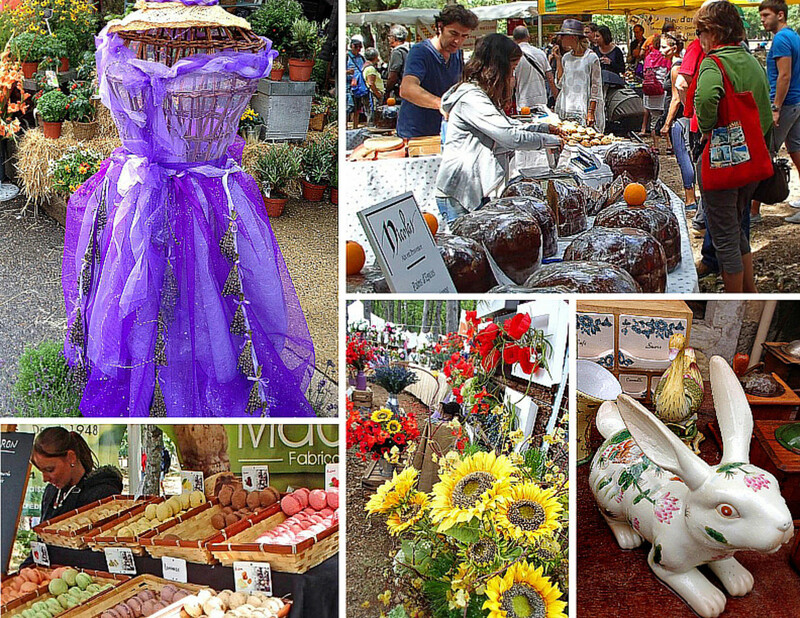 A huge, lively farmers market where local merchants sell all sort of lavender-based products like essential oil, honey, soap, baked goods, etc. One of the highlights (and most fun thing to do!) 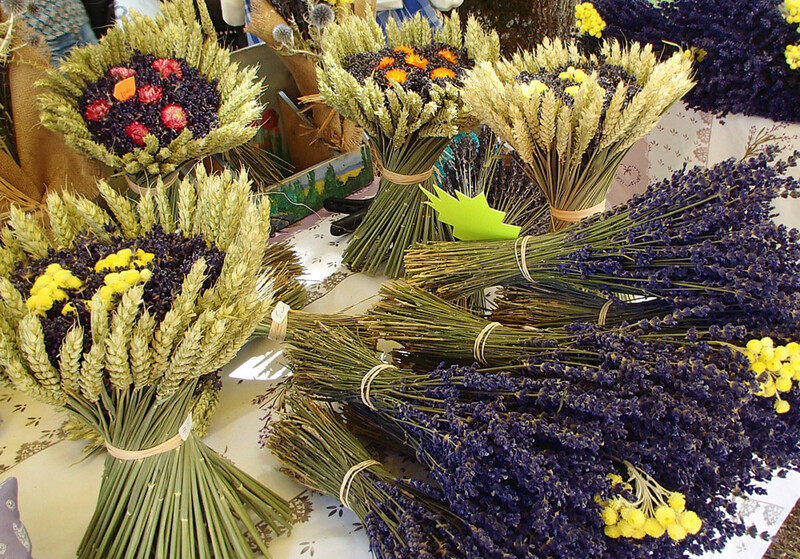 at the festival is to pick your own lavender from a large field. Everyone is welcome to pick lavender – whether to make a small bouquet or fill several grocery bags – for free. Hôtel Le Louvre – historic hotel built in 1950 at the village center where all the cafes, restaurants and shops are located. Featured 16 elegant rooms with private bath, decorated in rustic Provençal style, all with splendid views of the Ventoux Mountain or town square. Free WiFi and parking. 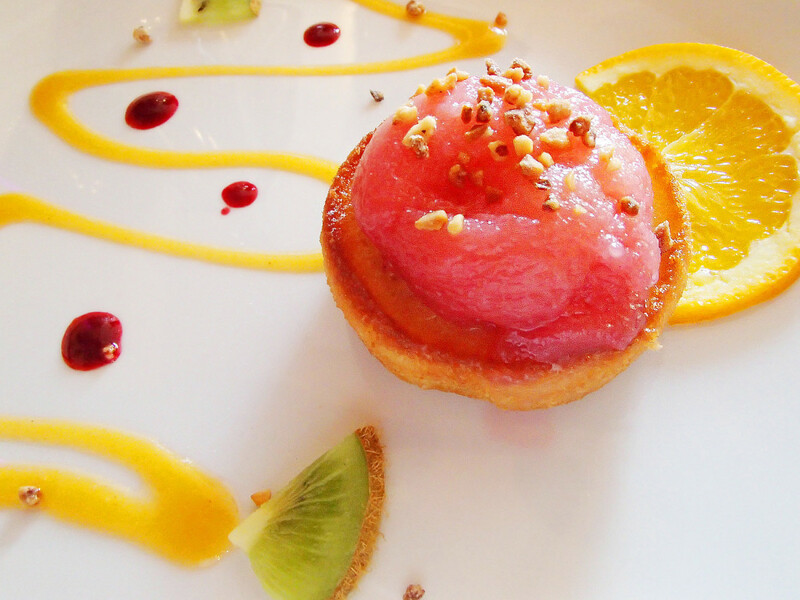 The hotel restaurant offers traditional Provençal cuisine. Old-world charm, filled with antique furniture (old piano, chandeliers) and a large fireplace. The food is beautifully prepared and presented. Excellent professional service. There is a difference between lavande and lavandin. Lavande (Lavanda angustifolia - also called true lavender) grows at high altitude between 800m and 1200m in the Provence region. True lavender forms a small bush, and has only one flower spike on each stem. It reproduces by seeding and has a delicate fragrance (widely used in the perfume industry). True lavender’s essential oil has been known as ‘miracle oil’, used by people for centuries to heal a variety of ailments. It takes approximately 130kg of true lavender flowers to distill 1 liter of essential oil. Lavandin (Lavanda hybrida) is a hybrid lavender. 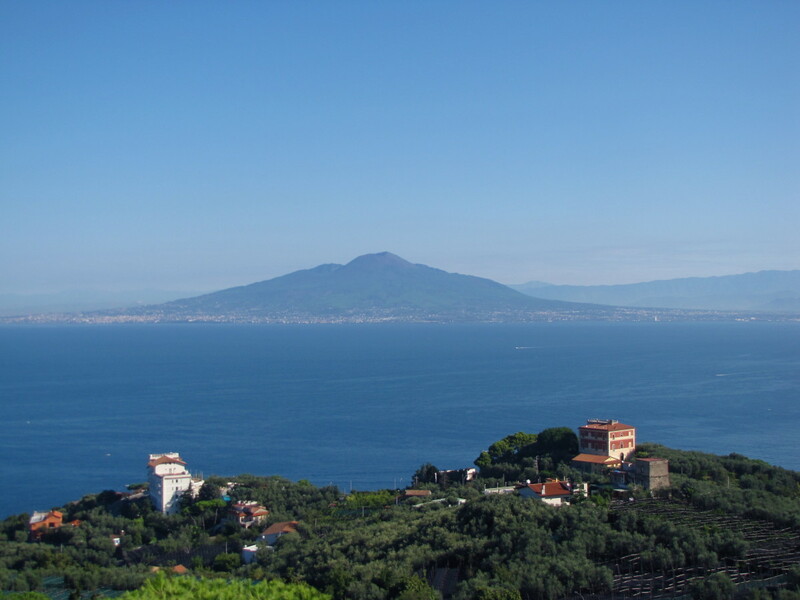 It can grow anywhere in the world between sea level and 800m altitude. It usually forms a large, round bush and has multiple flower spikes on one stem. Because it’s a hybrid, it is sterile, therefore can only be reproduced by cutting or planting root stock. Lavandin’s scent is much stronger, and is typically used in household products like soaps and detergents. 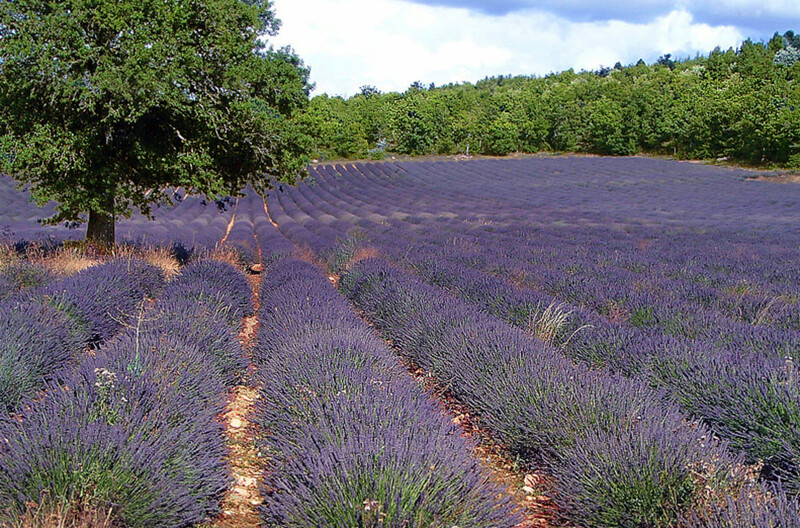 Compared to true lavender, it takes just 40kg of lavandin flowers to make 1 liter of essential oil. Lavandin’s essential oil, however, does not have the potent medicinal properties of true lavender. Lavender peak blooming season in Provence is from June through mid-August. 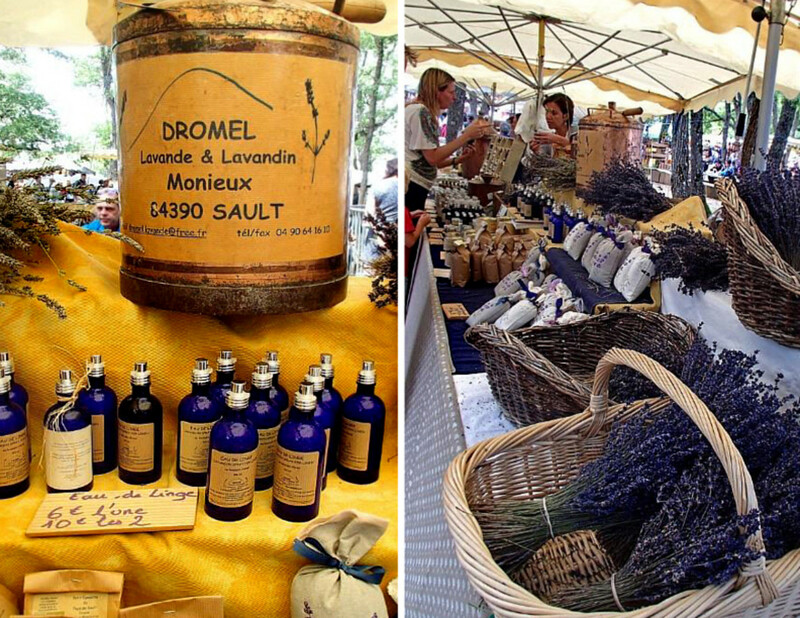 Have you been to the Lavender Festival in Provence? How do I travel to Sault France from Paris? 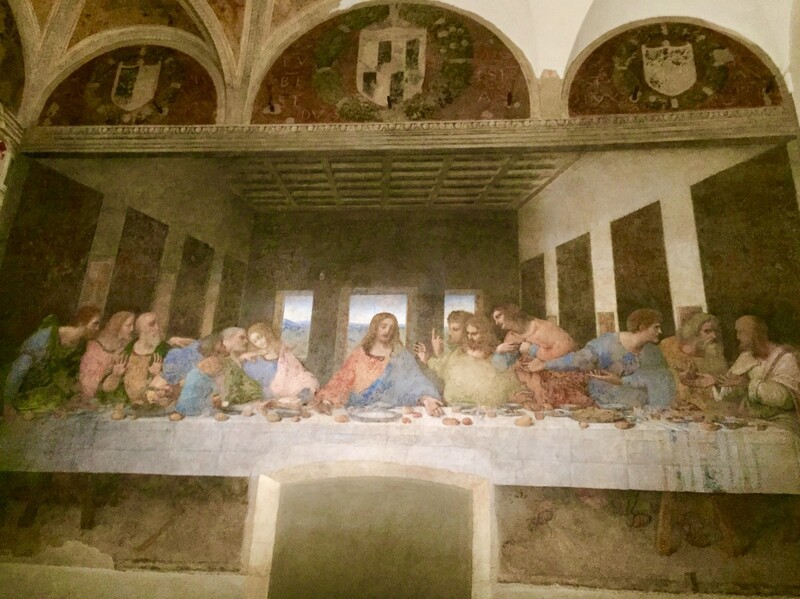 The best way is to take the high-speed TGV train from Paris to a large city in Provence like Aix-en-Provence or Marseille then rent a car from there to drive to Sault and other small villages. 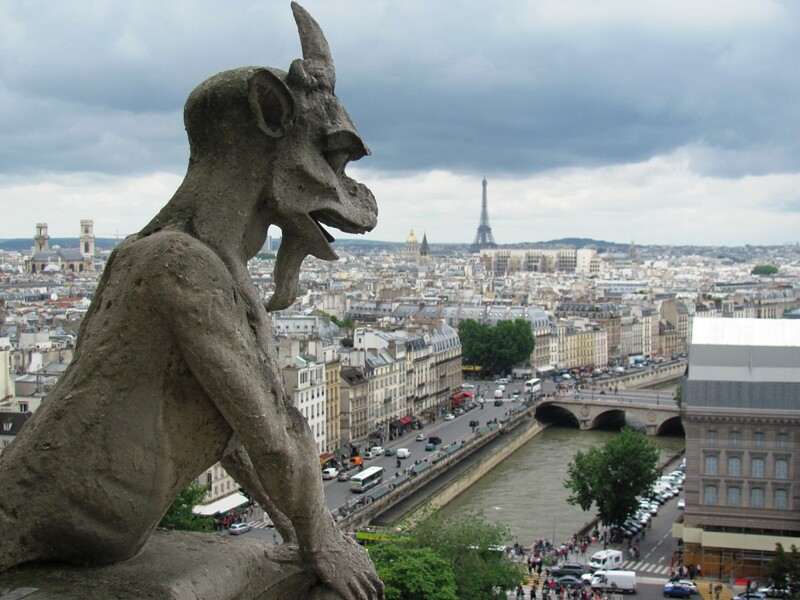 What bus can I take from Avignon to Salut, France? I don't think there is a direct bus line from Avignon to Sault. Looks like you will have to take a bus from Avignon to Carpentras, then hop on another bus from there to Sault. Check out this website: https://www.rome2rio.com/map/Avignon/Sault. 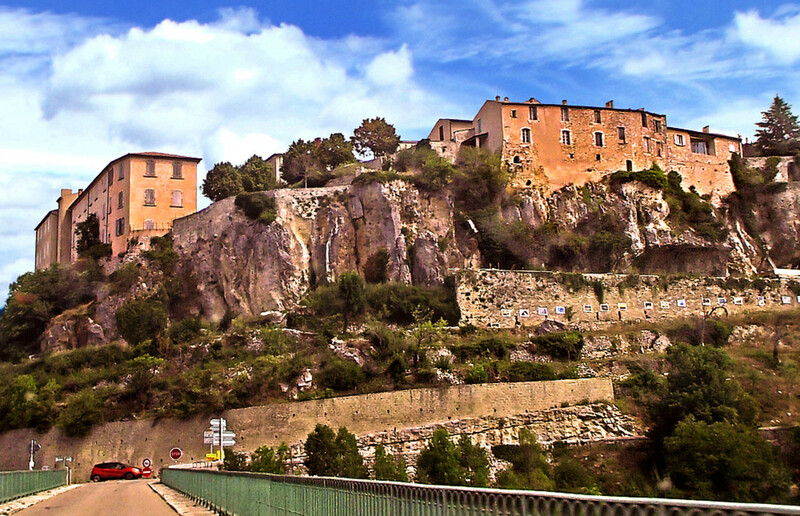 How do I travel to Sault, France by train? Sault is such a small town. I don’t think there is a train that takes you directly there. 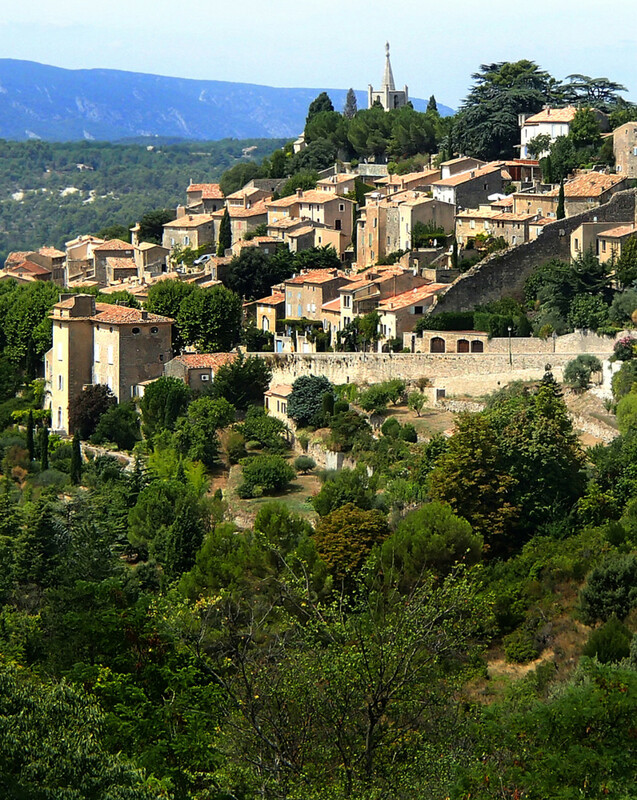 Aixe-en-Provence is the nearest larger and more touristy town, so there might be a train station there. I suggest researching online to find out. I love lavender, and this is a beautiful hub! Thank you for it.